Yesterday, I wrote about the 7 Tour and what David Crowder Band has meant to me. 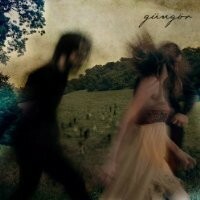 Gungor has now been filling the void that is going to be left by DCB. I absolutely love their sound, lyrics and theology. Gungor did an acoustic set at the 7 Tour, but will be back in LA in the spring with the full band. And I can’t wait. They closed with the song, “Song For My Family.” The lyrics are what bothers me as a pastor and as a Christian, and that I’m not doing my part (Please forgive our selfishness/ For hiding in our pews while the world bleeds/ While the world needs us to be what we should be). Please go listen to it. Anyway, while waiting in line, getting into the venue and waiting for the concert to start, we met and talked with many people. All different theologies and different stages of life. Yet, all there for one reason: good music and worship. When Gungor played “The Earth is Yours,” we all lifted our hands and sang as one. When Crowder played “Because He Lives” (one of my favorite moments in the concert), everyone joined in singing. And when all the artists (Gungor, John Mark McMillan, Chris August) joined David Crowder Band to sing “How He Loves,” at the end of the song, it was the audience (congregation?) leading the song. Music is a powerful, powerful, powerful tool in worship. But there is SO much division over music. Are you speaking for God? Have you figured out what God really likes? I like both types of services. I like choir pieces and I like singing hymns. But, I have to admit, drums, a heavy bass line, some guitars… that’s what reaches me. That’s what moves me. That’s what allows the Spirit to move through me. That’s when I feel really alive in worship. What an arrogant thing to say. Because our worship wasn’t traditional, with robes and organs and traditional liturgy, it doesn’t go deep enough. I really wanted to challenge her line of thinking by explaining the fervent prayer life of Koreans, and how the anglo United Methodist community pales in comparison, so much so that I can draw the conclusion, the way Anglo people lead prayer meetings, isn’t really prayer. But, I think I wisely opted to keep my mouth shut. Both are asinine, arrogant things to think of, let alone to say out loud! I tried to explain that our focus on worship goes beyond just Sunday mornings. We provide other outlets throughout the week where people can come in adoration, have time of confession, give thanksgiving and seek supplication. It doesn’t have to happen just on Sunday mornings. At the end of the day, we are comfortable with what we prefer. Yet, we let our preferences be truth. And I have a problem with when people try to stuff their preferences into my beliefs. Whether it’s “traditional” worship or “contemporary” worship, don’t you think God just wants people to worship? Don’t you think God cares that we worship over how we worship? Everyone has different ways of experiencing God. Everyone has a different of expressing love. Why is one way more important or “real” than the other? And does God really care about the music we use in worship? Music is such a powerful tool in helping people experience God. But, it’s not the be all, end all of worship. Lay it all out, and try to begin again. Just can’t believe in the Jesus that you’ve seen on Sunday morning. This is a song for the cynical saints. The burned out and hopeless. The ones that we’ve cast away. The walls of Sunday morning.